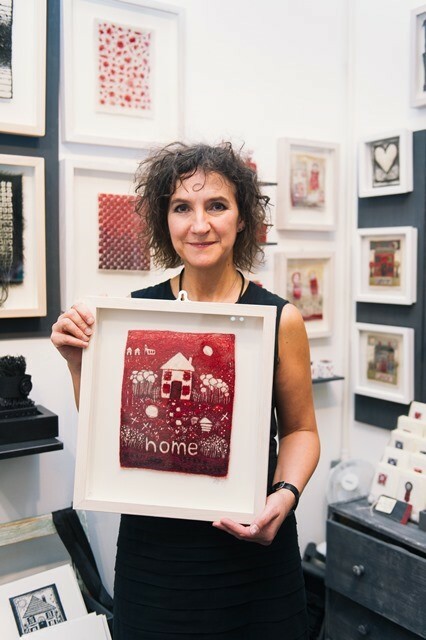 After a highly successful Made by Hand in 2014, the event’s organisers are pleased to announce that they will be bringing Wales’ largest contemporary craft festival back to Cardiff for a second year, from October 30th to November 1st 2015. Spread across three days in the heart of the city, at the historic and prestigious City Hall, Made by Hand brings together an exceptional, handpicked selection of 135 leading award-wining makers from all over Wales and the UK. The highly skilled collection includes jewellery makers, potters, furniture makers, textile artists, glassmakers and many more, all selling their finely made products directly to the public. Made by Hand has once more been awarded Art Council of Wales funding and receives on-going support from Visit Wales. Last year’s much enjoyed event in Cardiff was shortlisted in the ‘Best Event’ category at the 2015 Cardiff Life Awards. 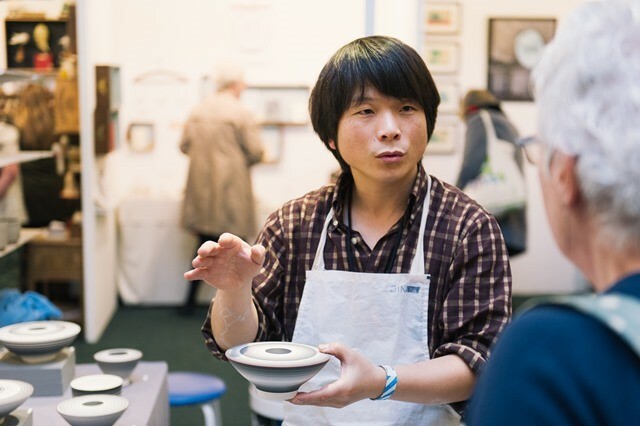 The fair welcomes children and adults of all ages to come along and try their hand at a wide range of exciting craft activities and watch a number of different craft demonstrations and masterclasses by some of the UK’s most prestigious makers, including ceramic artist Ashraf Hanna. Made by Hand will also be a host venue for the 2015 International Design and Make Challenge, presented by Cambrian Mountain Wool. The Challenge gave designers the opportunity to work with 100% Cambrian Mountain wool from the heart of Wales. 128 designers submitted their designs and the 35 designers accepted the challenge. An exhibition, workshops and demonstrations on the versatility of wool will be on display at Made by Hand. The Made by Hand Café will also be back, this year presented by the award-winning Pembrokeshire Seafood Company. The Café provides the perfect opportunity to rest and refuel during each day, and will serve a range of great locally sourced and delicious food and drink. There will also be plenty of live music for shoppers to enjoy over the three days. Made by Hand is part of a portfolio of events organised by Sarah James and Nina Fox. Sarah and Nina also organise the multi-award winning Contemporary Craft Festival in Bovey Tracey. The Contemporary Craft Festival was launched in 2004 and has established itself as one of the leading craft events for buying contemporary craft. This year’s event, which took place between 5th and 7th June, attracted over 10,000 visitors – making it the most successful year to date. Made by Hand Director Sarah James says: “I’m very excited to be bringing Made by Hand back to Cardiff and back to City Hall – we had such a great time here last year! It gives 135 exceptional makers a fantastic opportunity to grow their businesses in a beautiful city and I’m confident that this will be the ultimate shopping experience for all ages and a magnificent day out”.